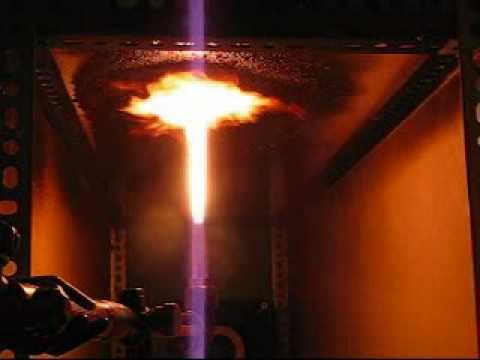 The Steiner Tunnel Test for flamespread does not give accurate results for foam insulation products, a new resolution contends. Certain flame retardants pose serious health and environmental risks without significantly increasing fire safety, according to a consensus statement being circulated this week at the U.S. Green Building Council’s Greenbuild convention in San Francisco. The resolution gathers fire safety experts, chemists, architects, and environmentalists under a banner of changing flammability requirements for foam insulation in the International Residential Code (IRC). • The addition of flame retardants at concentrations typically used in foam insulation does not significantly improve fire safety performance. • Thermal barriers like drywall provide far better protection than chemical flame retardants. • Test procedures for fire safety do not provide accurate results when testing foam insulation. The resolution is the first step in an effort to build momentum for modifying the residential code. The group argues the code should no longer require flame retardants in foam insulation if the insulation is used with a thermal barrier like drywall or if it is used on the exterior of a building below grade. He added that it is still possible for others to join the consensus statement as signatories.